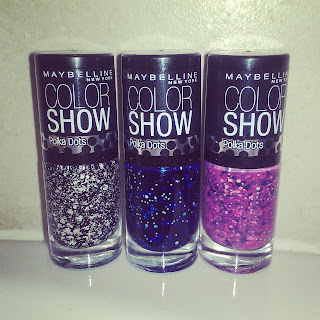 Hello, I'm back starting with a post about the new Maybelline Colour show polka dot collection. I only got 3 out of the 4 available, the one I don't have is the teal coloured one, i spotted these in boots and they just caught my eye and had to have them they are a great price at just £2.99 and they are on offer at the moment in boots at buy one get one half price bingo! 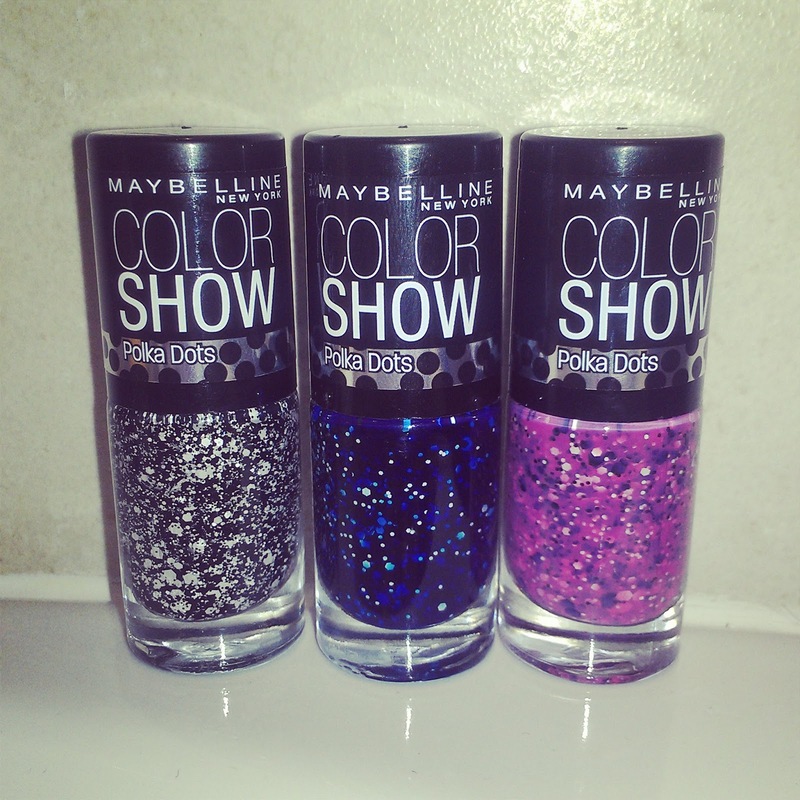 Alot of nail polish brands are now coming out with all sorts of jazzy nail effects such as concrete effect (nails inc)and sand effect (opi), now there are alot of hight street brands coming out with nail polishes similar to that of the indie ones..cue colour show polka dots. First up is speckled pink, in the bottle it looks fab and i had hoped it would be like this on the nails but it wasn't as milky looking, its like the polish sank behind the polka dots if that makes any sense? but none the less i still like this polish, it wears really good aswell which is a bonus for the cheap price tag. with this one the colour pay off isn't great on its own but choose the right base colour and it comes alive ha! Then finally its Chalk Dust this one is more of a topcoat which gives a really cute speckled effect to your favourite polish! 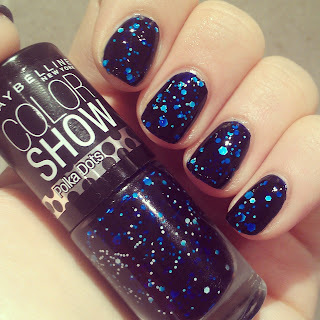 this one is almost identical to the Loreal Confetti topcoat so if you have that you probably wont need this, i accidentally did. What do you think of these polka dot polishes? Which one will you pick?